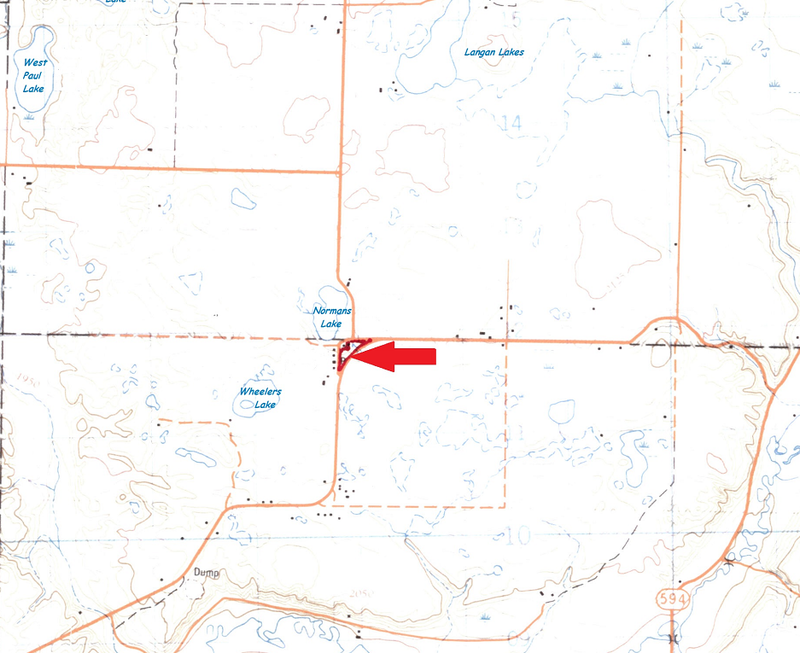 Northwest Portion, Section 33, Township 29, Range 28, West of the 1st Meridian, Part 1, Plan 49867, Happy Lake Road, Municipality of Roblin, Manitoba. 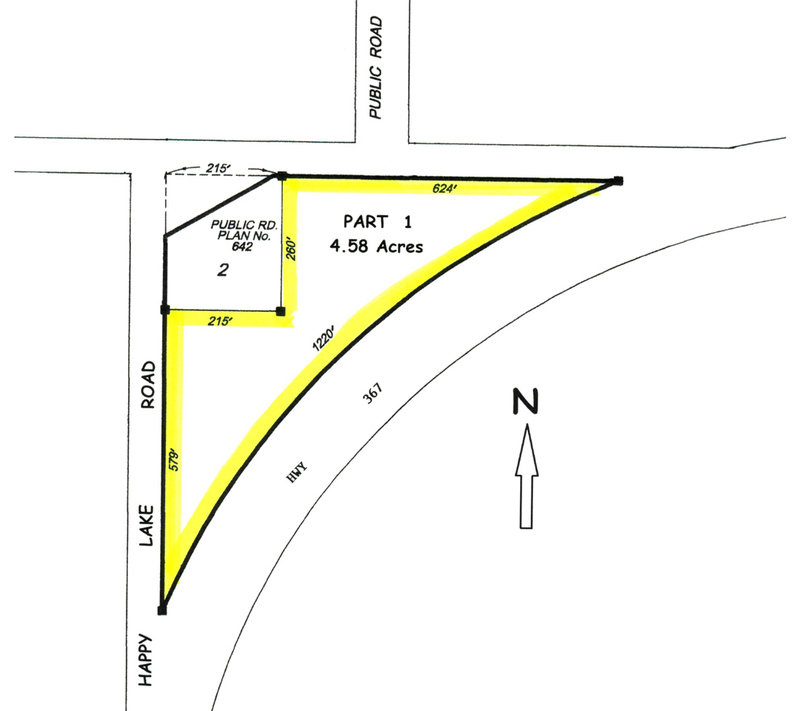 4.58 acres or 1.85 hectares. 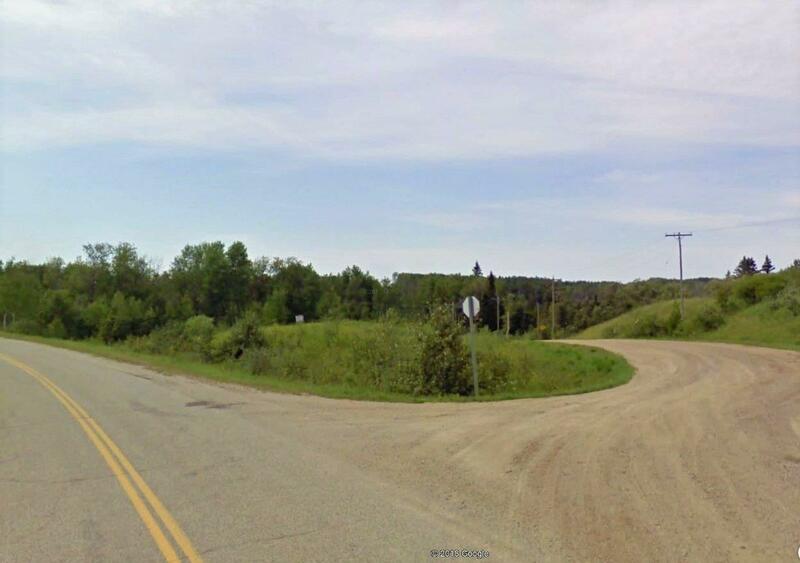 This fully surveyed parcel is twenty miles north of the town of Roblin and has roads on all sides. 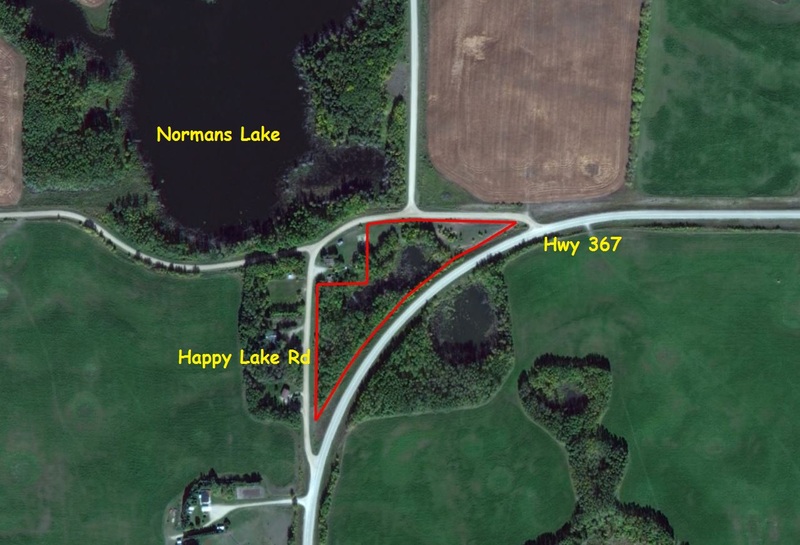 Year round Happy Lake Road provides over twelve hundred feet on the west and north sides of the property and paved Highway 367 passes along the entire southeast border providing an additional one thousand two hundred and twenty feet of roadfrontage. Electrical services are available alongside both routes. 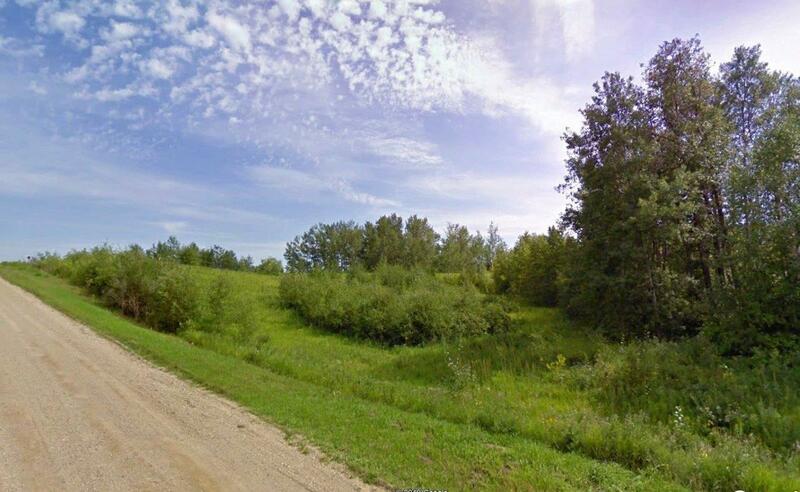 Originally larger, an acre was removed years ago from the northwest corner. 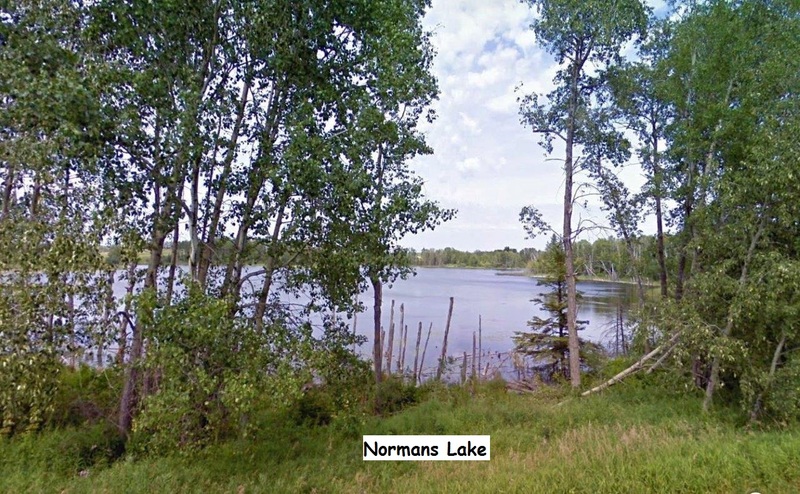 There is a high cleared area in the most easterly sector which offers a view of the surrounding countryside including Normans Lake, one hundred yards northwest. 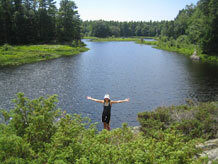 There is a pond in the centre portion where deer and migratory birds are often seen. 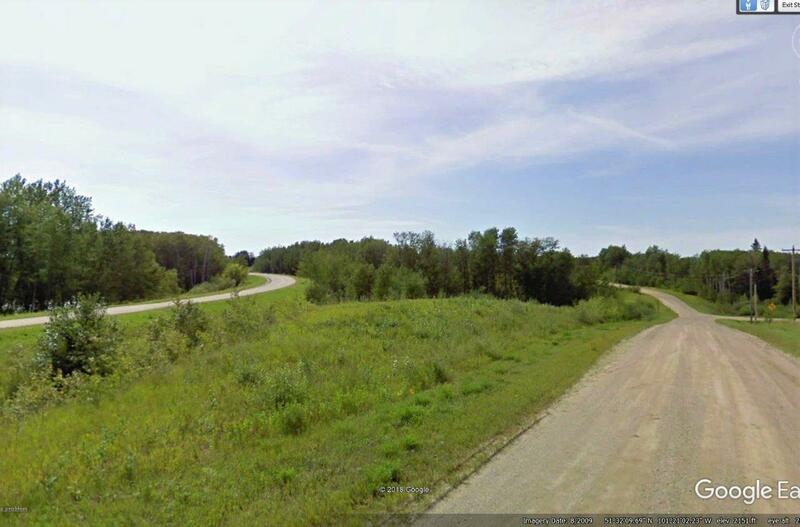 Balance of the land is heavily treed and rises to the west and south. 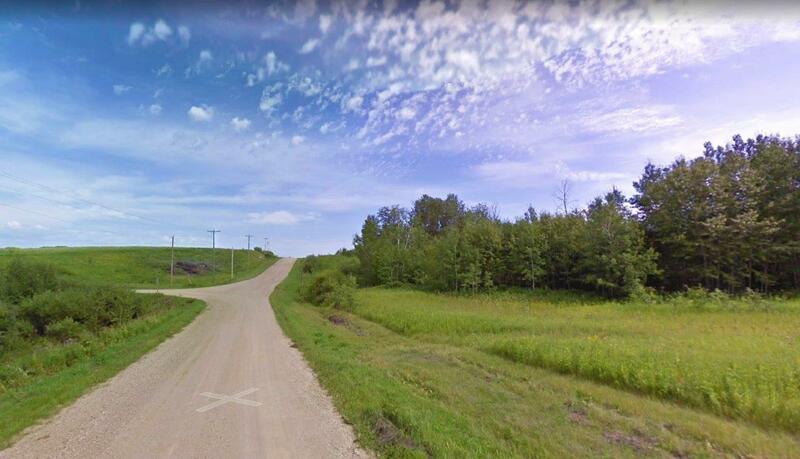 There are only a handful of homes in this quiet rural setting which is located ten miles east of the Saskatchewan/Manitoba border. 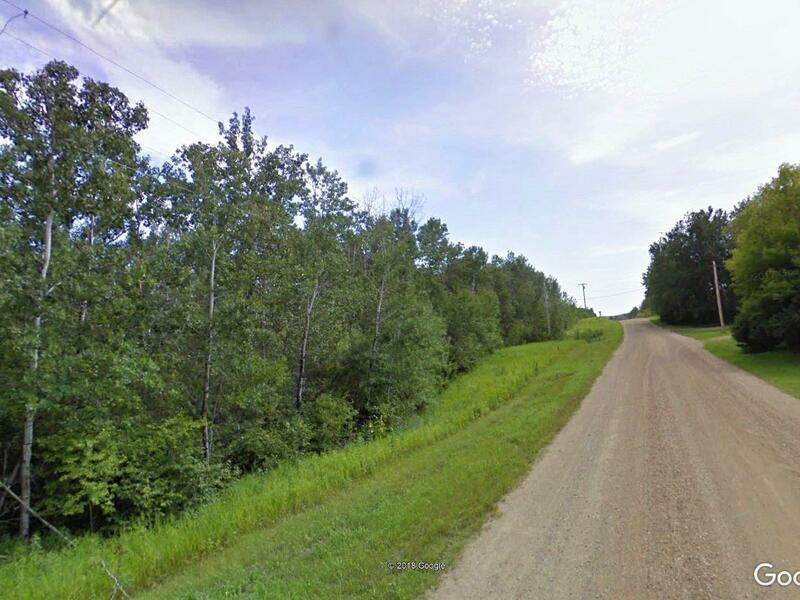 Ten miles east of the property is Duck Mountain Provincial Park encompassing five hundred and fifty square miles of lakes, streams and forests. Price $26,660.00, payable $3,960.00 deposit with order and fifty monthly payments of $454.00 each, and interest; or $23,994.00 (being 10% off) if paid $3,995.00 deposit with order and $19,999.00 within thirty days thereafter.